(CNS): The world’s eyes and ears are expectantly focussed on the forthcoming first-ever UN High Level Meeting (UNHLM) to #endTB: “United to End TB: An Urgent Global Response to a Global Epidemic.” The global TB community is hailing this as a landmark opportunity to marshal political will and resources to end TB by 2030. Will this meeting actually turn out to be the magic potion that would rid the world of TB by 2030? 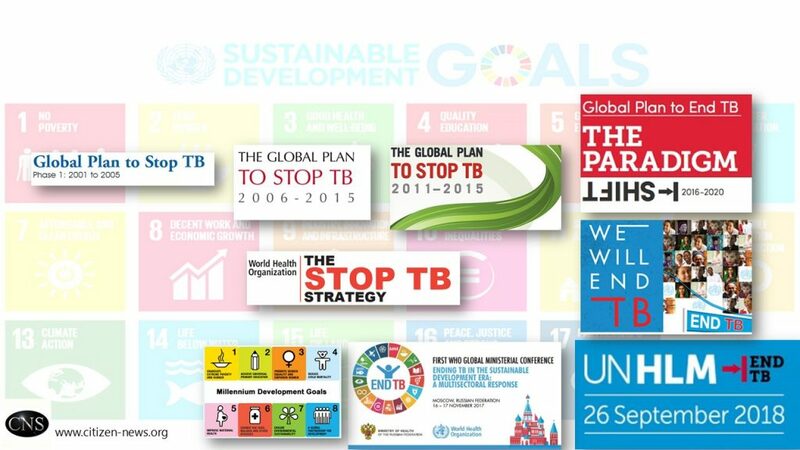 “This is an unprecedented opportunity when for the first time ever, over 45 heads of State will actually make statements of commitments to end TB at this event, at the 73rd UN General Assembly (UNGA). It is hopefully going to be a turning point in the fight against TB”, said Dr Soumya Swaminathan, Deputy Director General for Programmes, World Health Organization (WHO), in an exclusive interview given to CNS (Citizen News Service). Dr Soumya Swaminathan further said that it is also proposed to have a national accountability mechanism for every head of State to commit and be accountable for progress on TB. Moreover the meeting will hopefully help to mobilize more funding: both for TB programmes and for TB research and innovation – particularly for more domestic resources from middle-income countries and from the high TB burden countries. The event will also create a huge amount of awareness bringing together civil society, patient voices, political commitment as well as the experts on TB and translate into concrete actions at country level in order to achieve the global goals. The meeting does come at a time which we can call turbulent, in terms of TB control. WHO’s latest Global TB Report released last week, does not paint a very bright picture of the status of the TB epidemic. The year 2017 saw an estimated 10 million people developing TB and 1.6 million TB related deaths globally. The number of new cases is falling by 2% per year, which is much too slow to achieve the desired annual decrease of 10% by 2025 if we are to remain on track to end TB by 2030.
WHO has called for an unprecedented mobilization of national and international commitments, and urged political leaders to take decisive action. “We have never seen such high-level political attention and understanding of what the world needs to do to end TB and drug-resistant TB. We must capitalize on this new momentum and act together to end this terrible disease” said Dr Tedros Adhanom Ghebreyesus, WHO Director General. All these are noble and laudable intentions, but unless matched by appropriate and continued sustainable action, it will remain a rhetoric. Ending the TB epidemic requires action beyond the health sector to address the risk factors and determinants of the disease. History seems to be repeating itself at this so-called historic summit. Despite WHO’s best efforts, its Global Ministerial Conference “Ending TB in the Sustainable Development Era: A Multi-sectoral Response” held in Moscow in November 2017, had managed to attract only the Health Ministers, barring a few exceptions. Similarly less than 50 odd heads of States seem to have deemed the UNHLM to end TB important enough to merit their presence. All others (including India which accounts for the highest TB burden worldwide) will be content to be represented by their ministers of health and/or other high officials. So how can one expect to galvanise a global multi-sectoral action, when the highest political authorities of most countries do not think it important enough to be present at a meeting convened for them? Unless countries deliver on the SDGs, which requires coordinated and concerted interdepartmental efforts at country level, we will not be able to end TB. Merely issuing declarations will not do! It is not about “We can” but that “We will.” It is about political accountability. Let us remember what Chief Editor of The Lancet Dr Richard Horton said: “Politics is, in many ways, the ultimate determinant of our health.” Hope world leaders commit to put TB response on track to end TB by 2030!